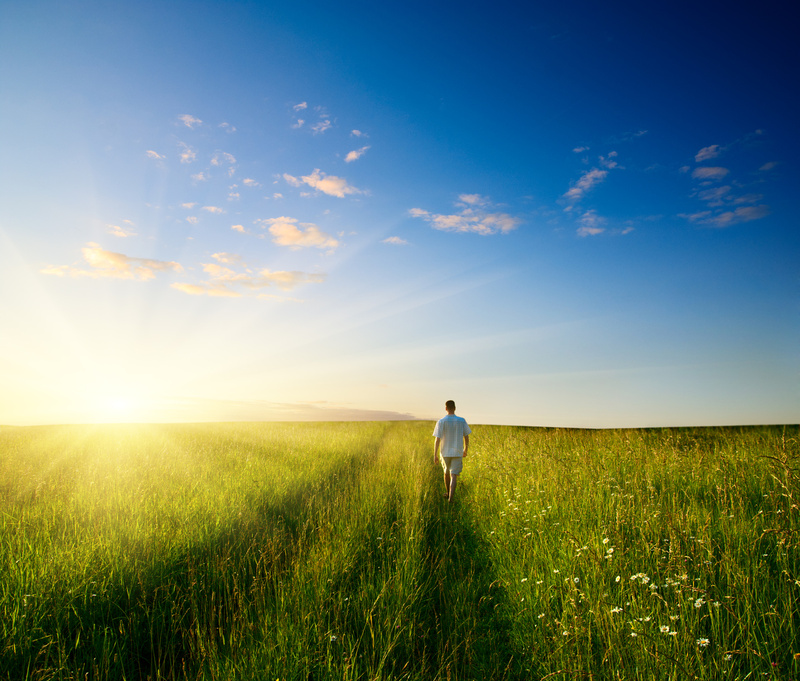 Seeing the present moment as memory sheds new light on how we see life. The idea that we are surrounded by our memory causes our concept of reality to take on new meaning. It is hard to imagine that the furthest point away from you is inside your mind. To find the point furthest away from you look outside into the world. You might see objects in your environment. You might look between these objects and see other objects further away. The further you look out, the more objects you see. Regardless of how far you look out behind it all is your memory. Here is an illustration of conscious awareness looking out at the universe. Some objects are close. Other objects, like starts, are far away. All the objects in the environment however, exist within memory. This means that memory is the universe. No matter how far you look out all that you see is contained within memory. Thus memory is the unlimited space around you. You have always been, and will always be, surrounded by your memory. Memory is the space around you. Memory can be thought of as information storage. Memory can also be thought of as geometric space. Reality and memory are identical. Memory surrounds everything, all time and space. As you look into the microscope you will arrive at the center of the universe. This is your awareness. Awareness is the center of your universe and has location within space and time. 1. When we look inward through a microscope we arrive at awareness. 2. When we look outward through a telescope we arrive at memory. Memory is the universe. Awareness is the point at the center. When you look at life as awareness surrounded by memory afterlife begins to make sense. Proof of Afterlife states that memory is awareness of another dimension. The fact that you can’t manifest memory does not invalidate the theory. You are not intended to manifest memory now. You have to wait. 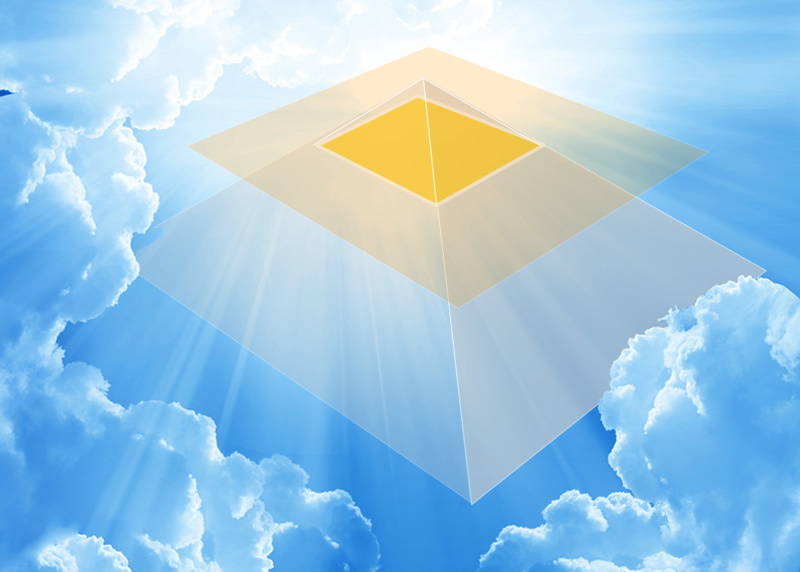 The Five Proofs of Afterlife will prove memory is awareness of another dimension in detail. Understanding the relationship between memory and awareness proves afterlife consequently. Realize that life is awareness surrounded by memory and afterlife is proven. During life we see half the equation. We see the “looking out into the universe” part. 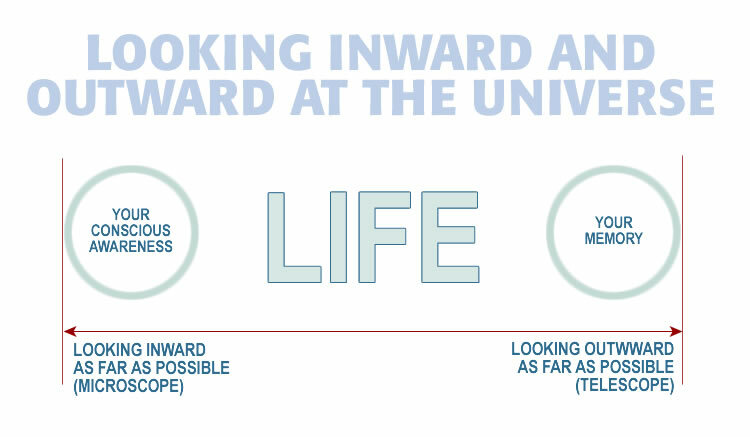 We do not see the “universe looking in at us” part. That part is memory. Memory is inside our mind yet it reaches out into the universe as well. Memory transcends the physical world. Afterlife requires just one moment in time to exist. Through memory a single point in time becomes all time. Thus you do not need to exist even one moment past the end of life for afterlife to exist. Afterlife (all time and space) takes place in one physical moment. When you arrive at the end of life everything comes to you. Afterlife is not dependent upon anything physical. This is not semantics. It is physics. Memory allows a pont in time/space to expand throughout time and space. It’s a big bang. Memory causes awareness to change dimension.